When a gradient stimulus, whose luminance contrast ranges gradually from white on one side to black on the other, is made to disappear all at once so that only the uniform white background remains visible, illusory motion is perceived. This motion lasts ~700ms, as if the stimulus moves from the low to the high luminance contrast side. This gradient-offset induced motion does not occur for equiluminant color-defined gradient offsets, suggesting that it relies mainly on the magnocellular pathway. We hypothesize that this illusion is caused by the difference of decay rates within the gradient afterimage. For the primary effect, one should sit at a comfortable distance and then move forward toward the center of the figure. An interesting change in apparent brightness and to some degree form will result—what may be called a “here comes the sun” effect. By moving back and forth, this apparent change will repeat. When sets of disks with tangential greylevel gradients are arranged in concentric circles (see image above, most observers perceive these disks moving around the centre, similar to Kitaoka’s ‘snake illusion’. This motion illusion is enhanced for large-scale and bright images and depends to a large extent to dynamic changes in the stimulus such as elicited by involuntary eye movements or blinks – fixating the centre of the pattern does abolish the illusion, whereas scanning the picture the motion sensation. 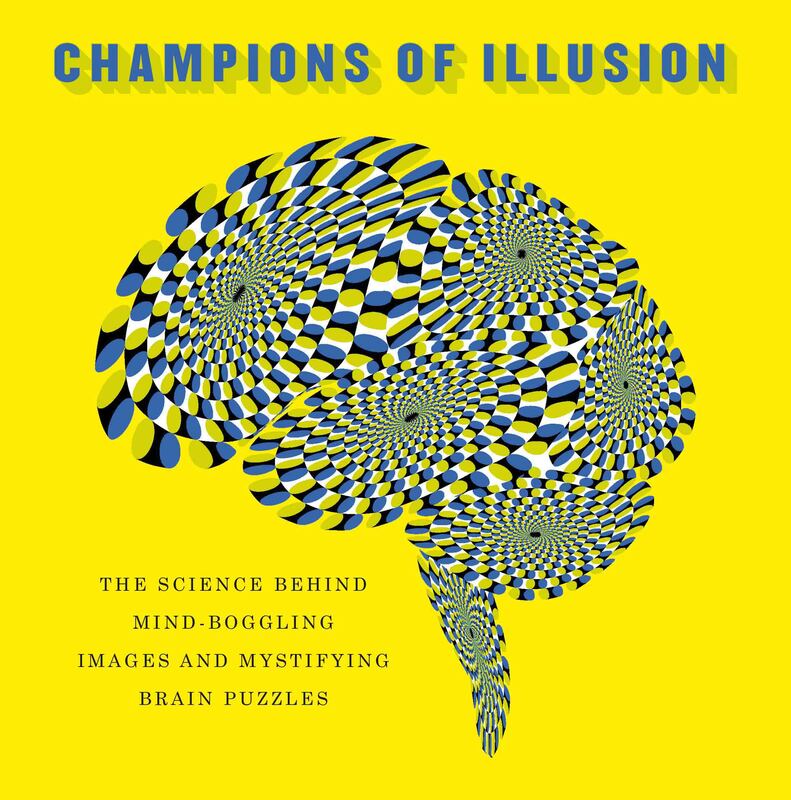 A reliably effective version of this illusion, which does not require eye movements (i.e. persists when observers fixate the target in the centre of the image), can be generated by modulating the background luminance of the array of disks (see attached animated gif file ‘spin_disks.gif’). This stimulus offers the opportunity of studying this motion illusion – the percept of spinning disks in the absence of any physical displacement – in a highly controlled manner in psychophysical and physiological experiments, because it is not depending on involuntary eye movements or eye blinks. Work in preparation (Zanker 2005) will demonstrate how this illusion can be explained in terms of a two-dimensional motion detector network (2DMD, cf. Zanker & Walker, Naturwissenschaften 91, 149 – 156, 2004).